In all cases, if you are being asked to purchase the app again despite having already purchased it, please confirm that you are logged into the store with the same account used to originally purchase it. This is the only way it will recognize that the app has already been previously purchased. 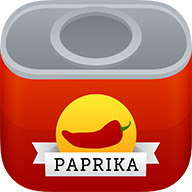 Once Paprika is installed, you can reactivate it using your existing license key. If you have forgotten your license key, please see this article.